I decided that I’m too lazy to make costumes this year, so instead I’m making some fun Halloween shirts! Good trade off right? 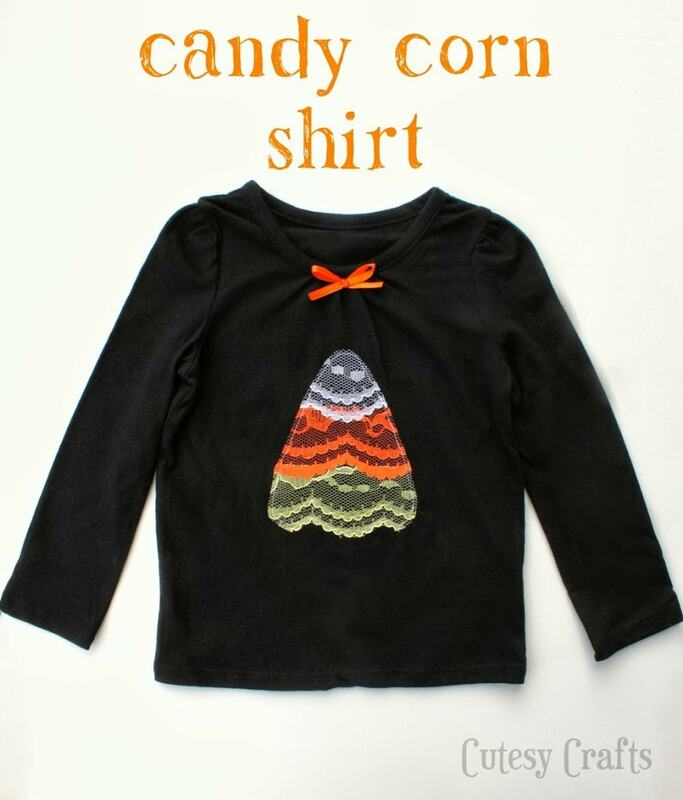 I made this Candy Corn DIY Halloween Shirt for my niece using lace for the applique. So cute and feminine! Start by cutting three strips of fusible webbing 2 1/2 inches wide. 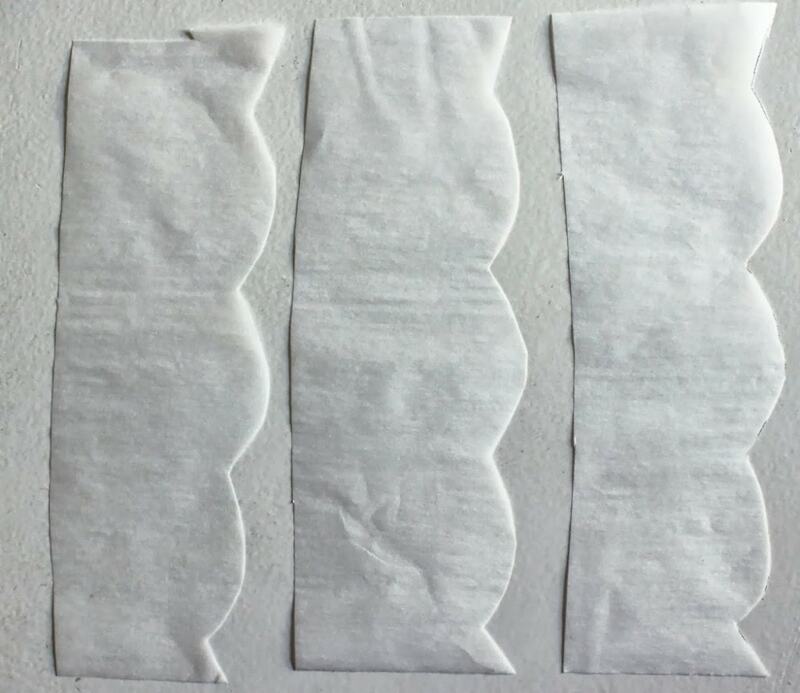 Trace the scallops of the lace onto the paper backing. It doesn’t need to be perfect, just get it almost to the edge of the scallops. 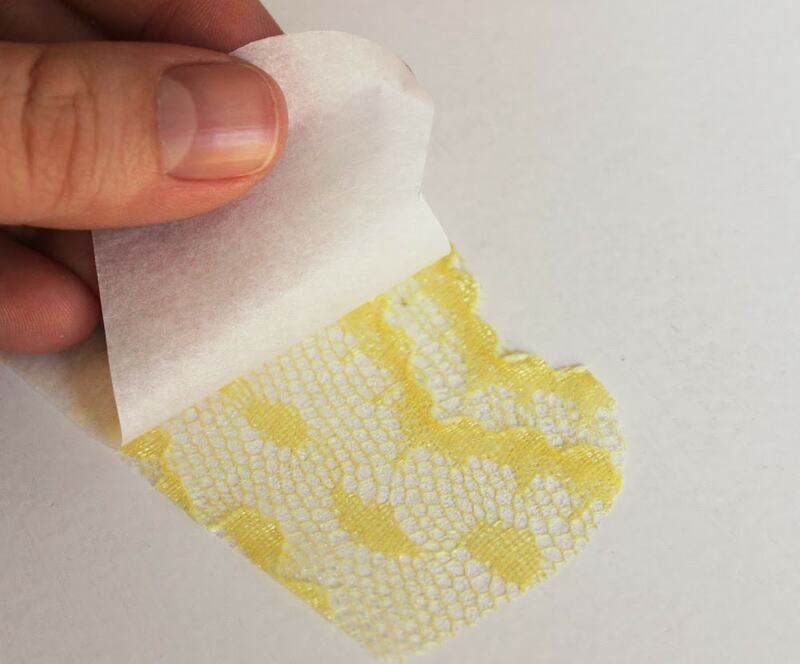 Since the lace has holes in it, you will need to put a piece of parchment paper on your ironing board to protect it. 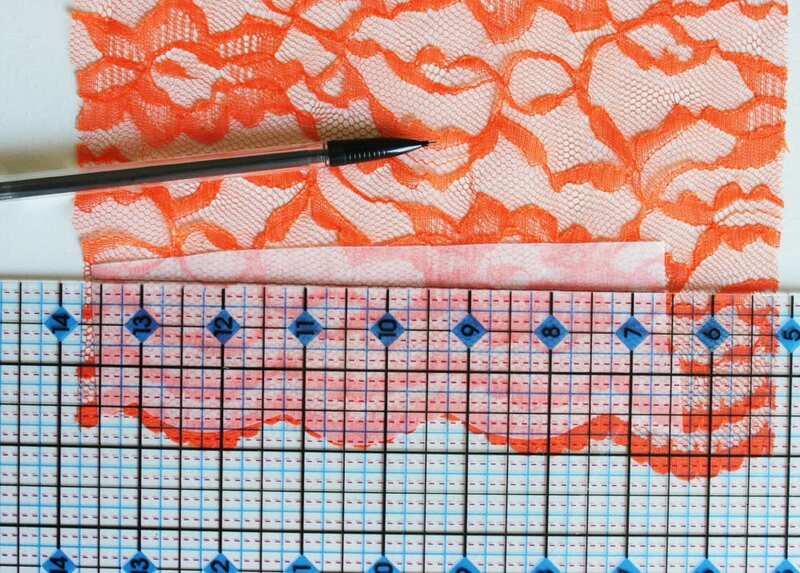 Lay the lace on top of the parchment paper and line up the fusible webbing with the webbing side down. Iron down the webbing with a dry iron. Draw a line two inches from the bottom of the scallops onto the paper backing. Cut along that line. Do the same for each of the colors. 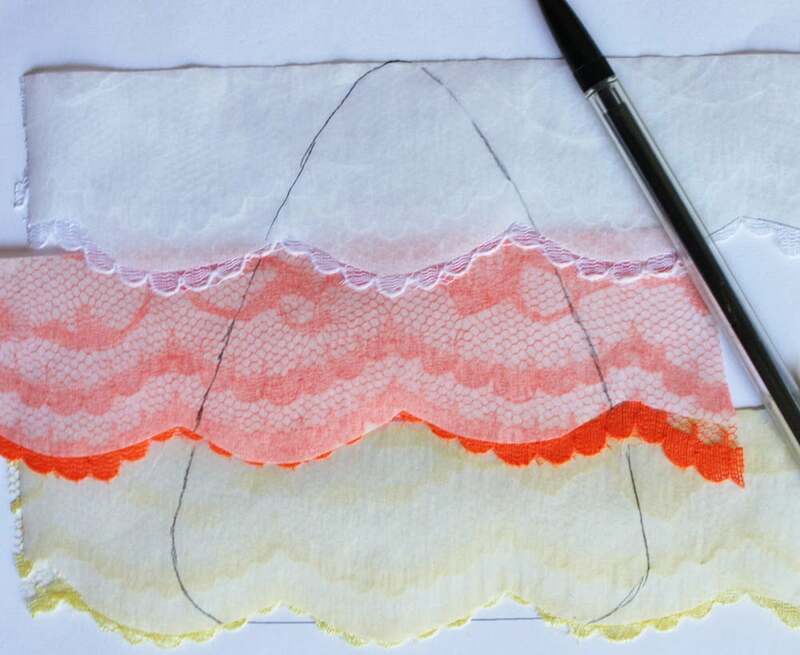 Line up the pieces of lace on the candy corn template with the paper backing side up. Trace the outline onto the paper backing and cut along those lines. 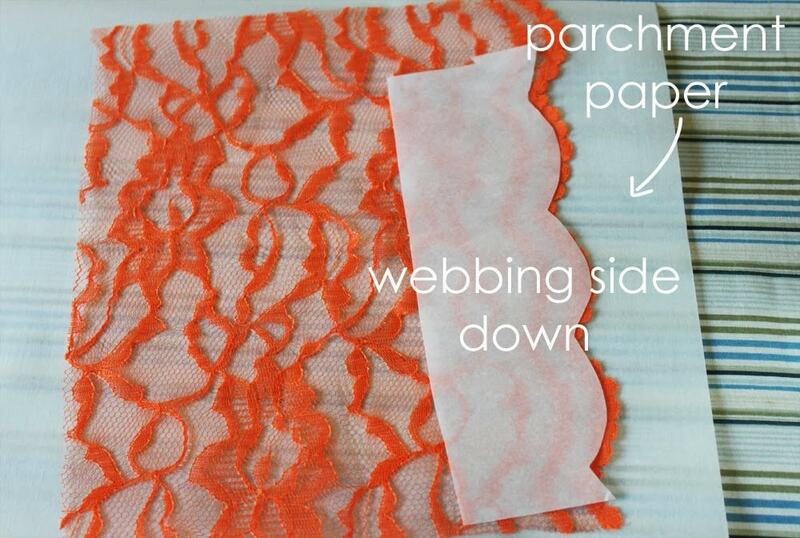 Carefully peel the paper backing off the lace, leaving the webbing. 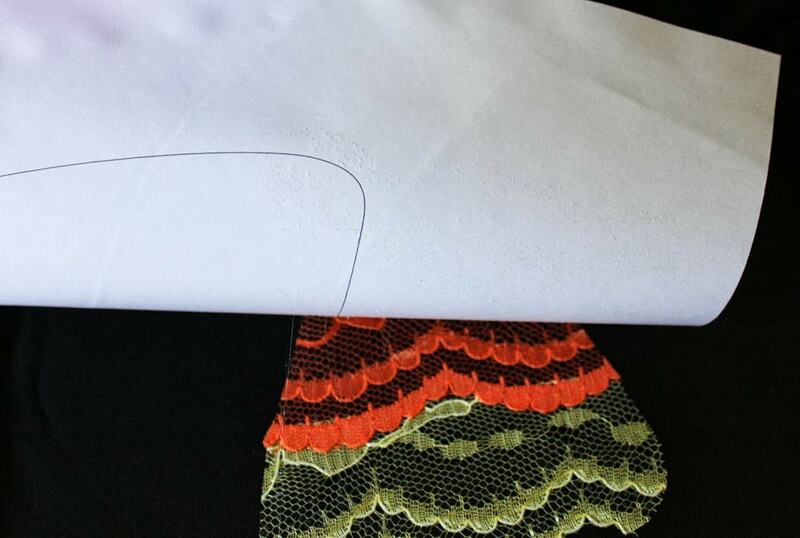 Arrange the three pieces of lace on the shirt and cover with another piece of parchment paper. Iron the lace onto the shirt. 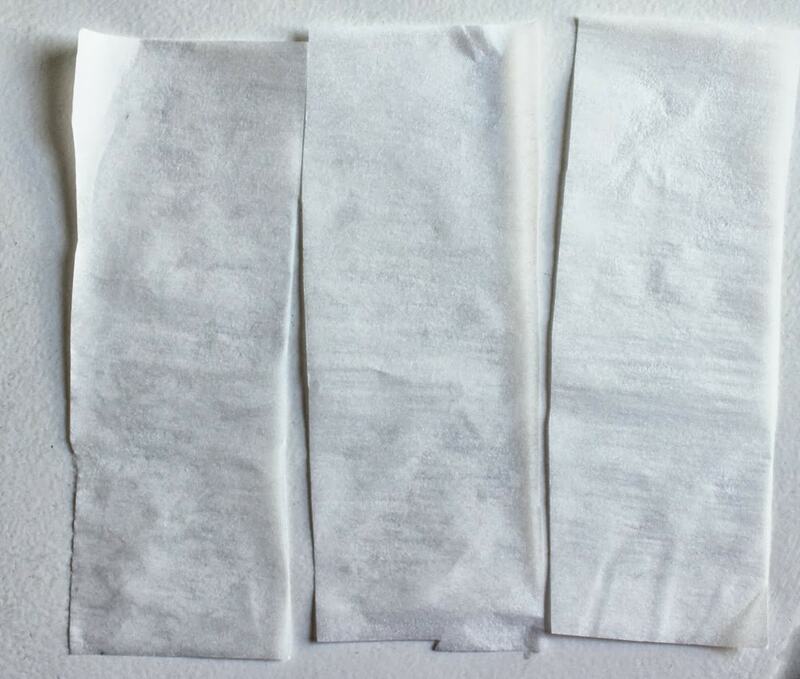 When you peel up the parchment paper, bits of the webbing will come up with it. That’s good. You want to get as much of the webbing off as you can. I also took a piece of computer paper (the one I printed my template on) and ironed that on to get some of the webbing off. 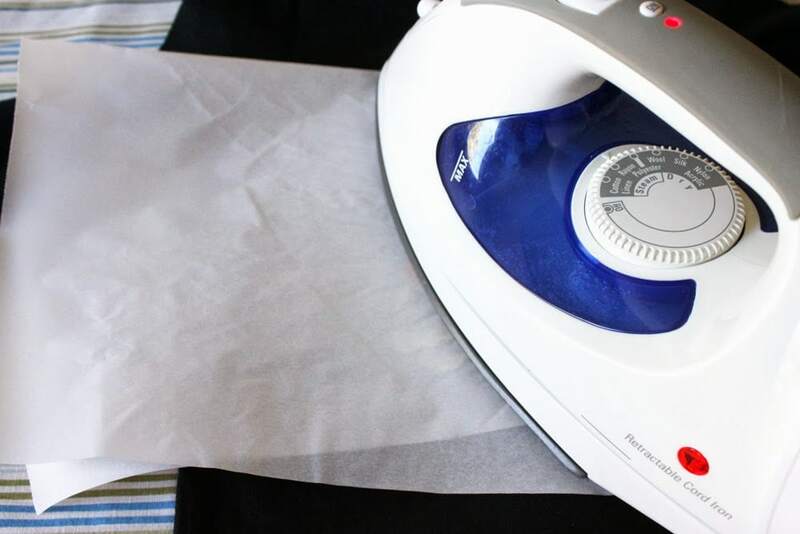 Just don’t leave the iron on too long and make sure to peel it up before it cools. Again, this is only because the lace has holes in it. 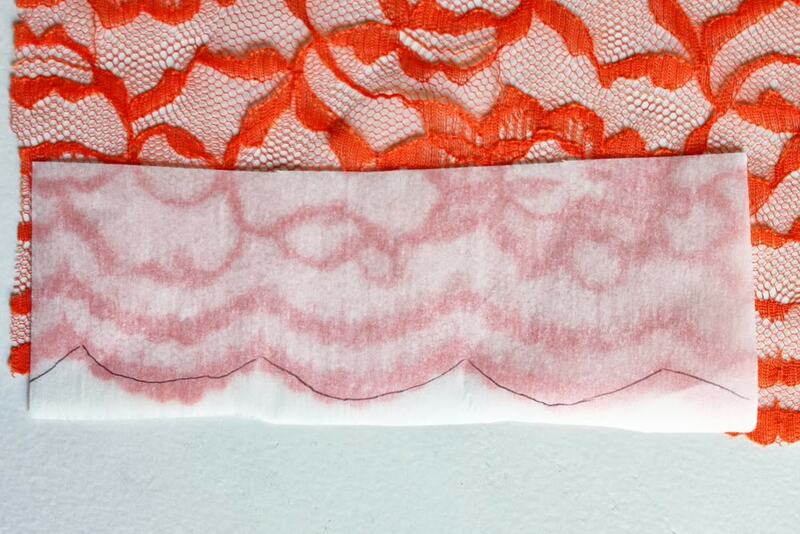 Hand or machine stitch around all of the edges to secure the lace. Tie a small bow with the ribbon and melt the ends with a lighter to prevent fraying. Hand or machine stitch the bow onto the shirt. 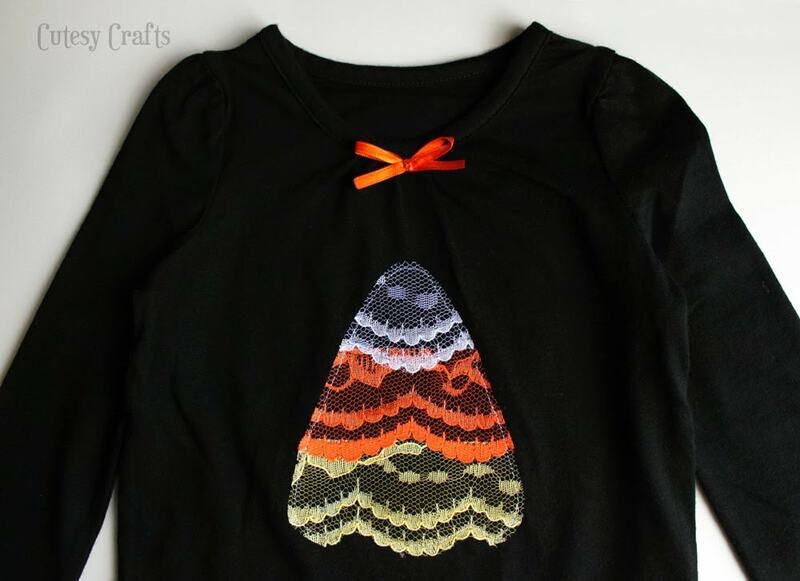 Such a cute DIY Halloween shirt! I recommend washing inside out, on a gentle cycle, in cold water. Hang to dry. If you like this shirt, be sure to check out my post today on Or So She Says… It’s a really cute Spider Web Halloween Shirt made using spider web lace! 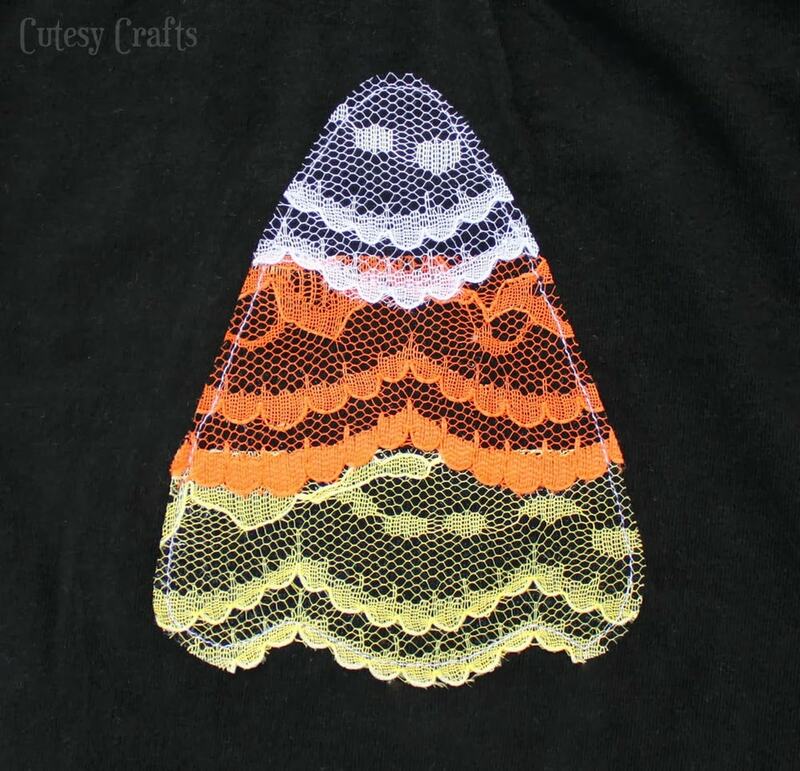 AND… click here to see the pumpkin and ghost lace shirts that I made! Oh my gosh! I love it! So clever using lace, and so cute! So adorable! How creative using lace rather than the usual felt. It makes it a bit more special, and my five-year-old would think it’s a bit more fancy as well. What a precious shirt…I love the idea of using lace! 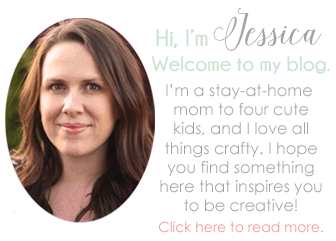 This would be great to link-up to Create It Thursday #22…it’s live now! Hope to see you there! Thanks Kaysi! I’ll be over to check it out! Awesome! I’ll be over to see it!